The 29-year-old began his senior contract with Tynedale and represented Newcastle Falcons and Sale Sharks between 2008 and 2014 before moving to Ricoh Arena and has racked up 98 appearances for the club since then in which he scored 19 tries. The absence of Lima Sopoaga, Jimmy Gopperth and Billy Searle has seen Miller take up the responsibility of fly-half this season and has 100 per cent kick record at the nine shots in the goal. 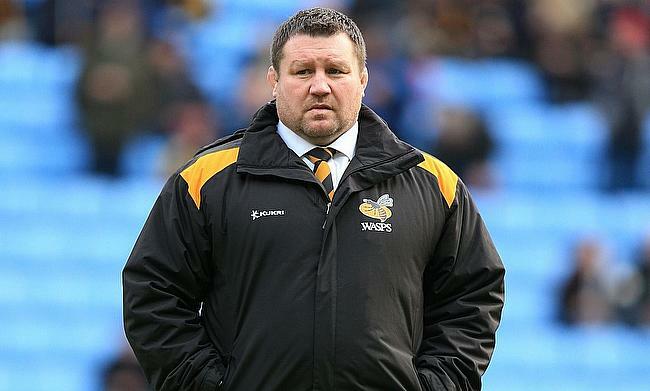 “Wasps has become a home away from home for me and I’ve met some amazing people in the last five seasons," he told in a statement released by the club. Miller has also represented England at U16, U18 and U20 levels and helped the U20 side to Grand Slam in 2008 and also the final of 2008 IRB Junior World Championship where they lost to the eventual champions New Zealand. “Rob is a player you can always count on to play a role in the team, wherever it might be, and he has been fantastic stepping in at fly half recently," said Wasps director of rugby Dai Young. Wasps are currently positioned eighth in the Gallagher Premiership table with seven wins from 16 games this season and will take on Gloucester Rugby next at Kingsholm on 23rd March.